Strengths: In his prime, Mogilny lived up to his nickname – Alexander the Great. He was a threat to the opposing team by making very exciting offensive moves that reflected his speed, shooting, and passing accuracy. Weaknesses: Sometimes Mogilny went through cold streaks. Hip and back injuries forced Mogilny to retire early from professional hockey. Biography: It took Alexander many steps to get to where he is today. Being born in Khabarovsk, a city in the Far East, there was little hope for anyone to become a hockey star. Mogilny became an exception. He was picked to the Moscow Red Army’s senior team at the age of 17. To replace the famous KLM line (Krutov-Larionov-Makarov), coach Viktor Tikhonov put Mogilny with fellow teenagers Pavel Bure and Sergei Fedorov. The line clicked immediately, helping the Soviet Union win back-to-back gold medals at the World Junior Championship in 1988 and 1989. Mogilny won the tournament MVP Award. He was so skilled that he even brought a smile to Tikhonov’s face – a rare accomplishment. During the 1989 celebrations in Sweden, Mogilny said goodbye only to Fedorov and disappeared from the team. Alexander met with Buffalo Sabres representatives and he was flown to North America. His high-profile defection led the way for other East European players to follow. Mogilny adapted easily to the NHL. He scored a whopping 76 goals in the 1992-93 season, tying for the NHL goal-scoring lead! Alex was named captain of the Buffalo Sabres in 1993, but then he was part of a blockbuster deal that sent him to the Vancouver Canucks in 1995. Mogilny and Bure were reunited. After one strong season, the next couple of years were full of injuries. 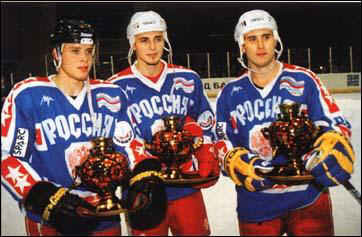 The 1996 World cup was the last time Mogilny put on the Team Russia jersey, because he believed that younger players should be given a chance instead. 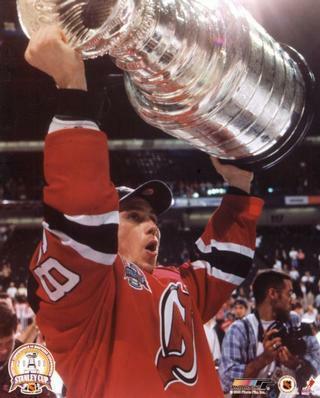 Alexander was traded to the Devils in 2000; he immediately helped them win the Stanley Cup. 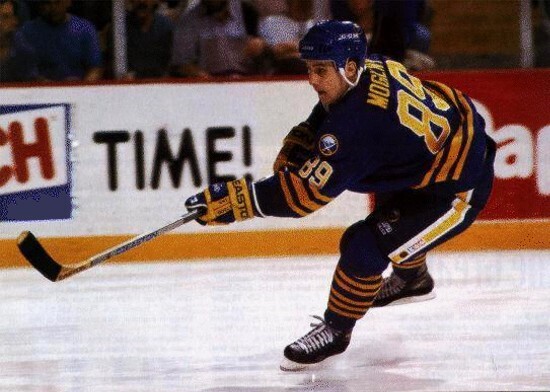 The following season Mogilny was one of the best scorers, clicking on a line with Scott Gomez and Sergei Nemchinov. 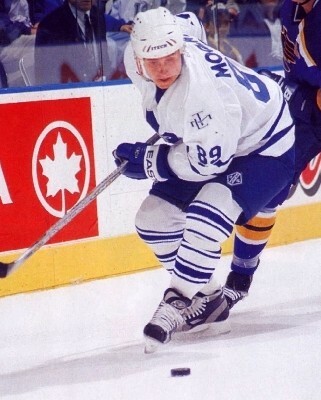 After signing with the Maple Leafs, Mogilny’s first season in Toronto was inconsistent, but in the playoffs he single-handedly won games 6 and 7 of the series against the Islanders, and game 7 against Ottawa. In the next season Alexander rebounded with two hat-tricks and the Lady Byng Trophy as the league’s most gentlemanly player, but missed most of the next season due to an ailing hip. In Toronto, Mogilny built a reputation for his sense of humour with reporters. After the NHL lockout, Mogilny returned to New Jersey. Because of a salary cap, the Devils could not carry Mogilny’s salary, so Alexander spent part of 2005-06 in the American Hockey League. Mogilny has retired from the NHL since, but occasionally takes part in charity games. 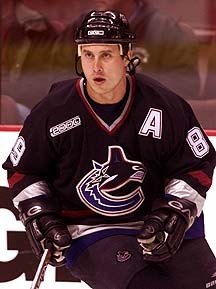 In 2010, Mogilny was named the Vice-President of the Kontinental Hockey League.